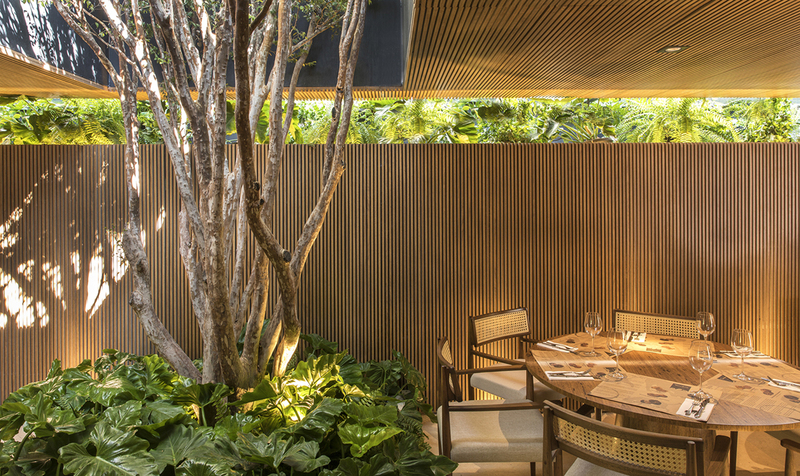 By combining truffles, minimalistic restaurant design and nature, architects Mariana Garcia Oliveira and Filipi Oliveira created a beautiful pop-up restaurant at CARACOR 2018 for Tartuferia San Paolo in Brazil. 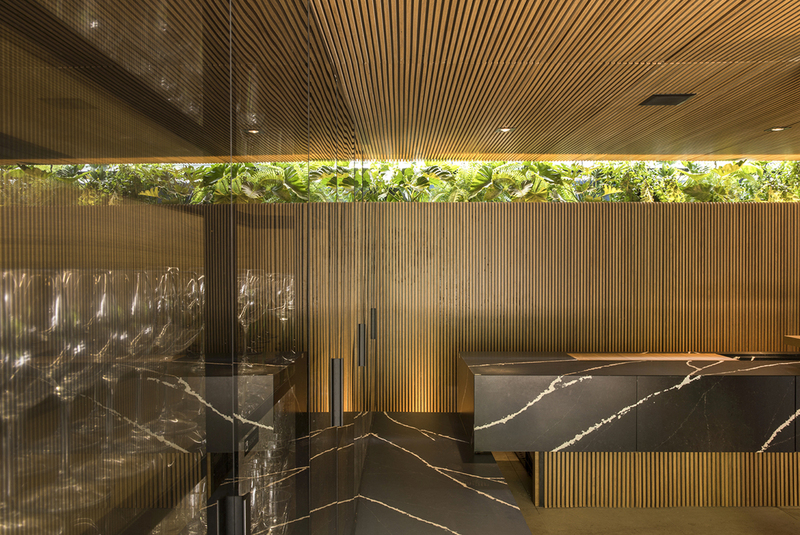 The 60-seat, 200-square meter (2,152 sq.ft) temporary restaurant has all of the characteristics of considered, minimalist design, yet it also has a distinctly lush, rich feel. 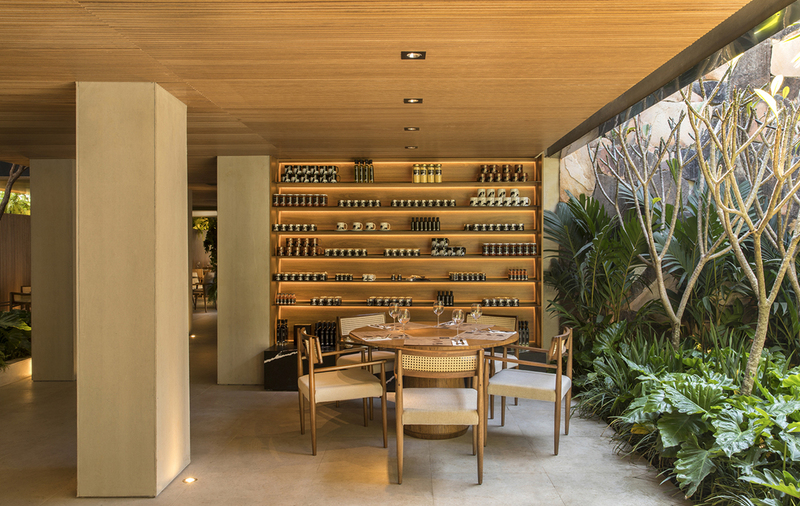 Using mainly wood and glass, and allowing the nature outside to be the only decorative component, the husband and wife team and founders of mf+arquitetos have conjured up a balanced, serene atmosphere. 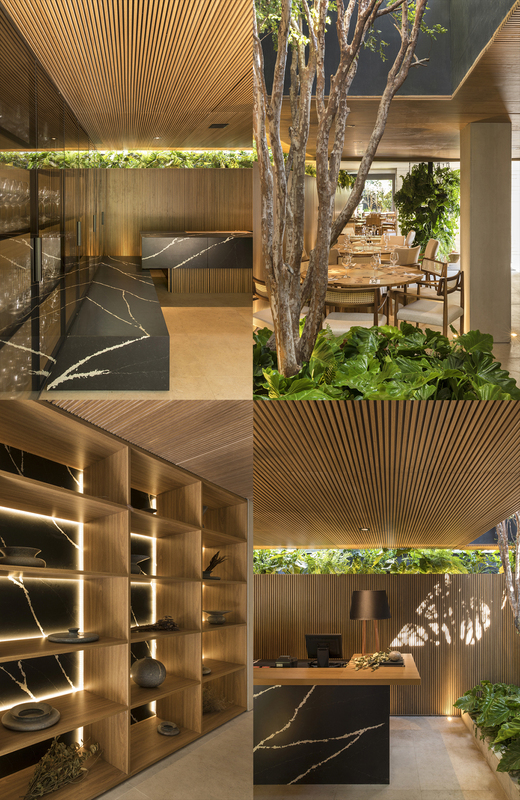 The natural feel fits well with the theme of CASACOR São Paulo 2018. 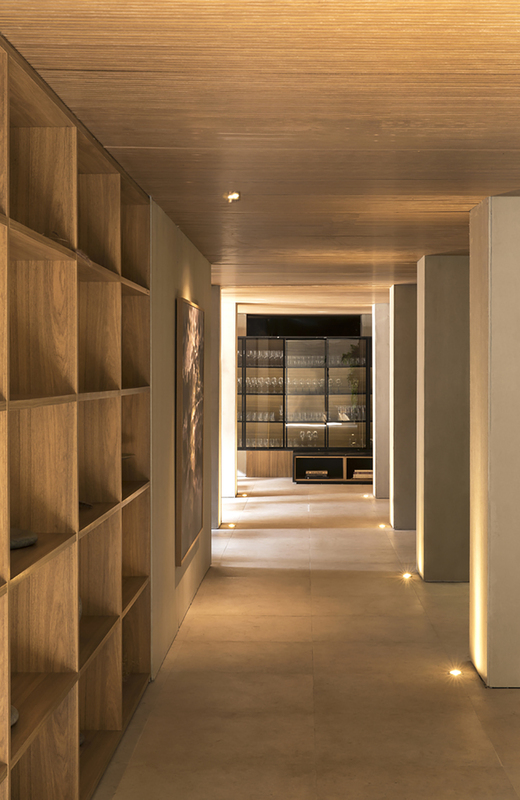 In its 32nd edition, the popular interior design, architecture and art exhibition is themed this year around the idea of The Living House (A Casa Viva ). The show takes place at the Sao Paulo Jockey Club from May 22 to July 27. 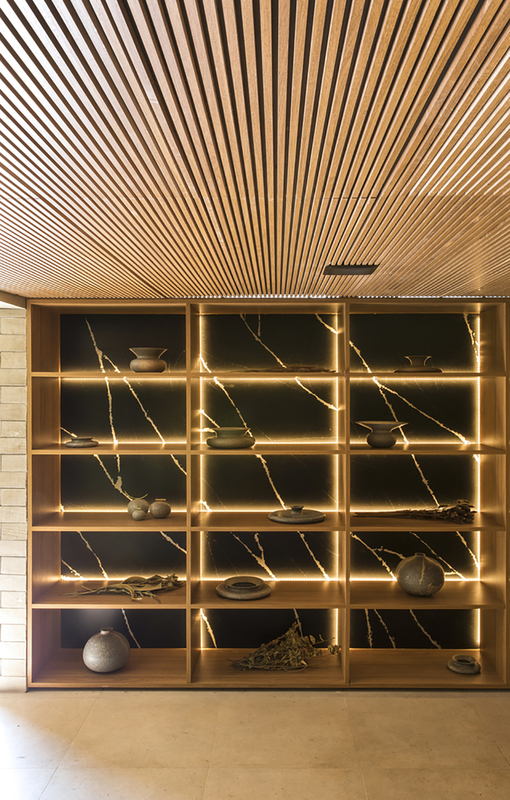 It includes 82 interiors from houses, studios, apartments and lofts to lounges, dining rooms and bathrooms. The key challenge for the designers of Tatruferia CASACOR was to fit all of the components into the small space including the tables, seating and the shelving for the products. 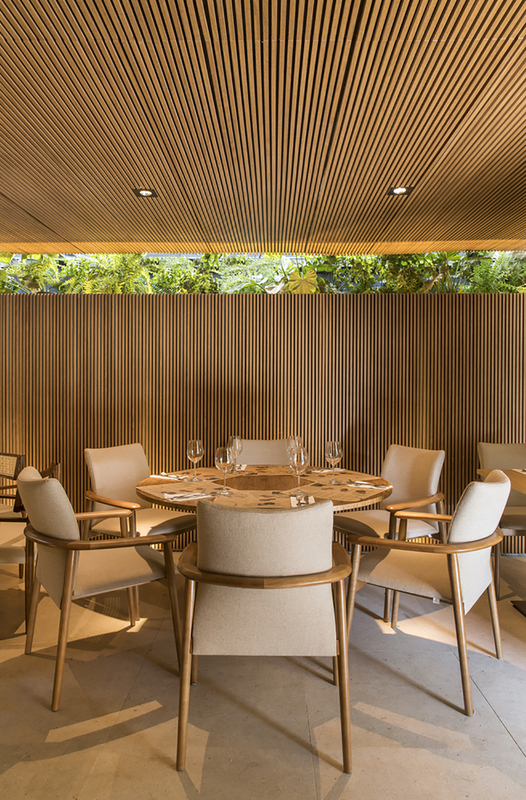 The nature-loving milieu of Tartuferia CASACOR is not only a perfect fit for the show’s theme, it is also typical for the designers, and a constant focus for the founders of the Tartuferia San Paolo group of restaurants. 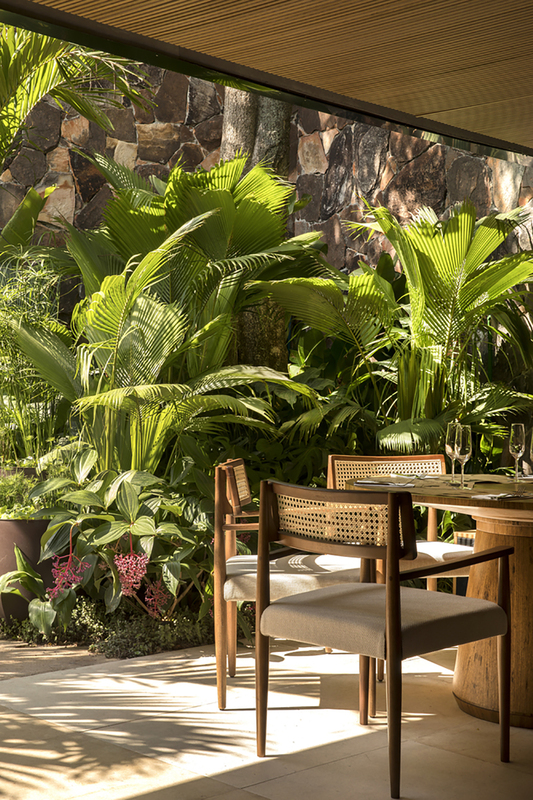 It was restaurateur/entrepreneur Lalo Zanini and his love of Italian truffles that brought him together with business executive Carlos Eduardo de Almeida and finance expert Rogério Aneas Buldo. In 2015, this cooperation led to the establishment of Tartuferia San Paolo that currently has two permanent locations in San Paolo and one in Cuirtiba. Additional restaurants are planned in the near future in Goiânia and Recife, and internationally in the next few years, says Zanini. The company also sells 25 different truffle and other related products including oils, salts, preserves and gift sets in their restaurants, online and at more than 100 other locations. Tuija Seipell.